A nutritious snack that is a great alternative to junk food like the potato chip. Place the rinsed & drained chickpeas onto a parchment lined sheet tray. Pat dry with paper towel. 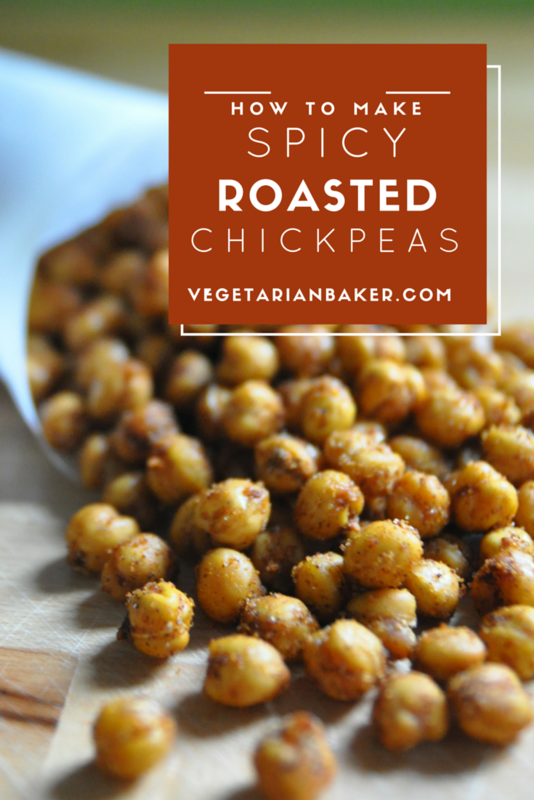 Place the chickpeas into the preheated oven for 20 minutes. Remove from oven and add the olive oil & spices to the chickpeas. Make sure to distribute the flavor evenly. Place the chickpeas back into the oven for another 15-20 minutes. They should be nice and crispy. Allow to cool slightly or completely before enjoying. So do I. 🙂 It’s so rich and delicious. Can I use home-made cooked chickpeas? because between canned chickpeas and the homemade ones the flavor and taste (and a lot of stuff) changes a lot. If I can they have to be half cooked?